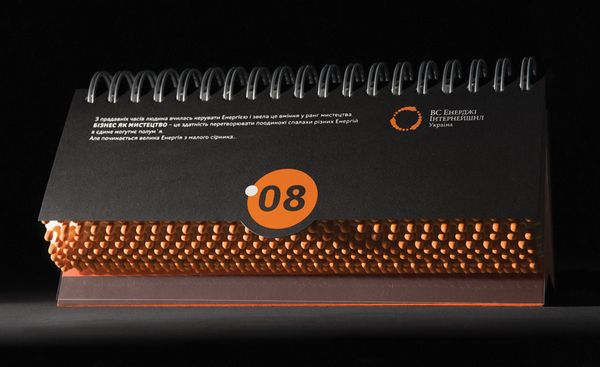 The idea was to create as unique a calendar so that the process of its presenting would become an outstanding event. Alongside with this, it was important to expose the idea of "energy", as it is predetermined by the name and logo of the company. 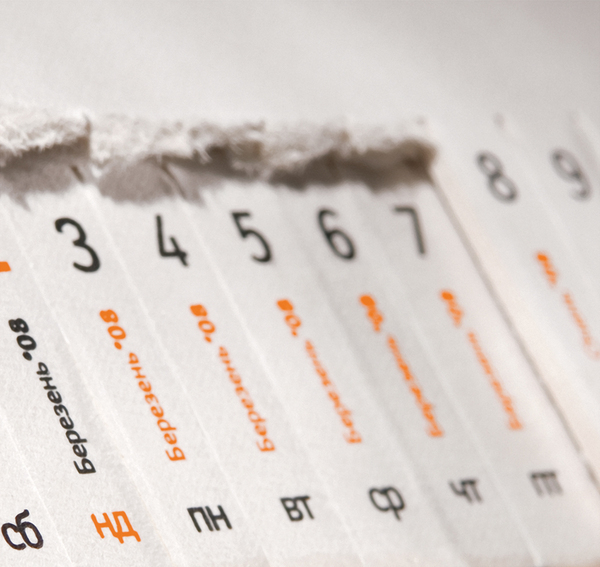 Each page is a month and it looks like a comb made of matches that correspond to the days. 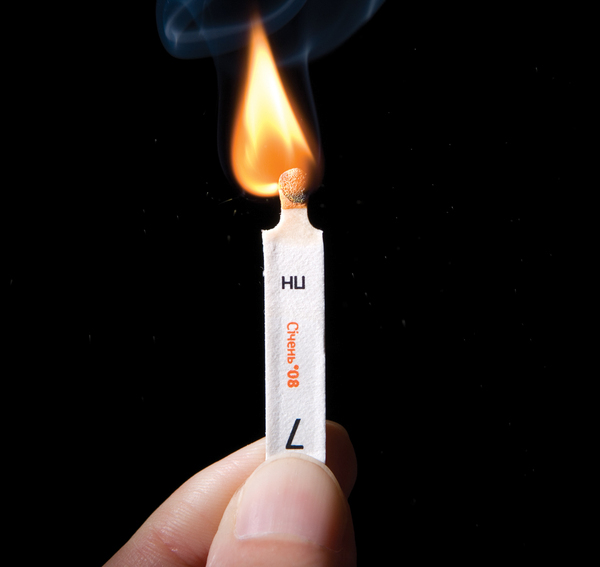 The matches are real and the construction of the calendar is absolutely safe. - 9.8 inches wide, 5 inches high. - Bound on metal spring 1.2 inches diameter. - Silk printing 2 colors. - Striking surface stripes are applied on both sides of a stand base. 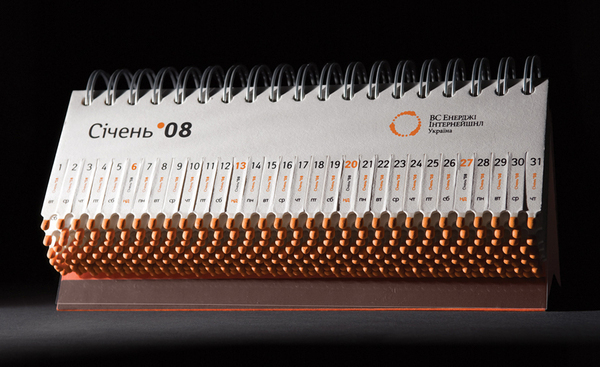 Calendar made of matches. 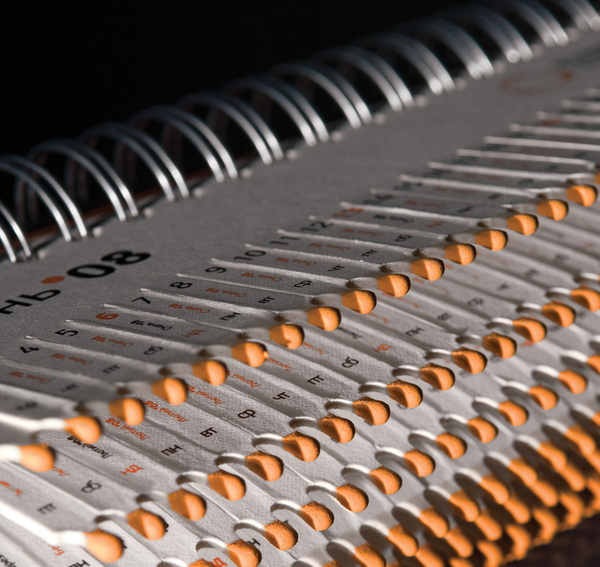 Each page is a month and it looks like a comb made of matches that correspond to the days.